Internet has become as important as the air we breathe today. When we get plagued with a slow Internet connection or other connection problems, we reach the verge of a mental breakdown at times. If you too have connection problems hampering your connectivity problems, then you have landed on the right page. 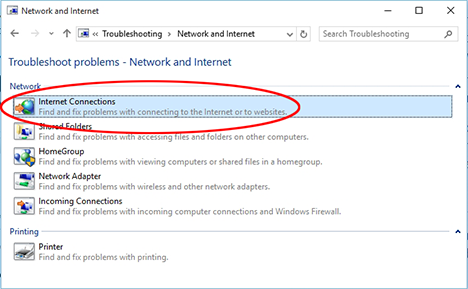 We will share a few tips for troubleshooting Internet connection problems. These tips will be useful for taking care of some common problems often faced when using Internet. 1. If you are using Windows Vista and above, you need to right-click the network icon in the notification area. Click on Diagnose and repair. Those using Windows 8 can follow the same steps and click on Troubleshoot Problems. 2. Next, the computer will try and diagnose the problem. If the problem is found, it will solve it and you overcome your connectivity issues. If the above solution does not solve the problem, don’t worry. You can try the following tips to help you get back online. But first you take up all the trouble, check if your router is properly connected and the modem’s power cable or Ethernet cable are not accidently pulled out of the socket? Many times it so happens, Internet connection becomes slow when the wireless connections face interference. This interference may include signals from cordless phones or other household appliances. Not just your home, but even the appliances from your neighbor’s home may interfere with your wireless signals. At times, a router tucked way behind books or behind the metallic case of your CPU may also lead to low signal strength leading to poor network connectivity. Thus, reposition your router or change the Wi-Fi channel number and get better connectivity. Do you use applications or programs such as Peer to Peer (P2P)? Are you into heavy download or online gaming? These applications may continue to run in the background and sucking the life out of your Internet connection. Thus, making it too slow or irresponsive. Check out for such background applications and troubleshoot Internet connection problems. If you find your connection is not working properly, then you can try the ping command. Just open the Command Prompt window from the Start Menu. Here, type in a command like ping google.com. The command will send different packets to the address you have specified. If all is fine, you will find there will be 0% packet loss and time taken for each packet will be fairly less. In case of loss of packets, it indicated network problems. This means either there is problem with the website (quite rare), your Internet service provider or a problem with your router. Internet worm is a malicious software program. It can spread through computer networks and run havoc in the lives of those who cannot stay offline even for a minute. If your computer gets affected by an Internet worm, it may start connecting randomly and generating network traffic without your knowledge. This will lead to a slow Internet connection and a worried you. Just run a good antivirus software and remove any malicious worms from your computers. Do you see lights flashing on your router? Is any light missing or blinking uncontrollably? You need to switch off the power source and unplug your router and then the modem. Now, count 1 to 10. Plug it back the modem and then the router. Allow them to get some peaceful time to boot up and then see the activity lights. Try connection your computer with Internet again. If all the lights are on and still you cannot connect to the Internet or get a response of the ping, now you need to take some serious action. Just pick the cable provided by your ISP and connect it directly to your device or modem. Can you get online now? If no, then call your ISP immediately for answers. Those who can connect to the Internet directly after bypassing the router, have problems with their router. Most ISP won’t offer tech help related to router they have not helped install. So, grab your router’s handy guide and try troubleshooting your router. 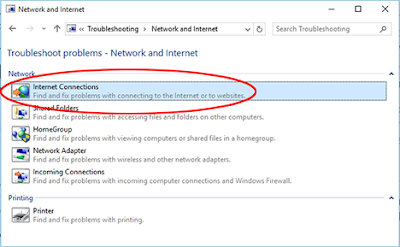 These are a few tips for troubleshooting Internet connection problems. In most cases, rebooting the router and modem tends to solve the connectivity issues. If nothing works, you need to call your tech guy to help you out with your Internet connection problems. What is Bluetooth Technology? How Does It Work?